Using charts to display data can help users understand the information more easily than they would if it were presented in a table, especially when dealing with a lot of data. With charts, you can easily see patterns in the data at a glance as opposed to reading through a whole table (or several tables) to get this information. The use of charts has been a common feature in business and fitness apps. 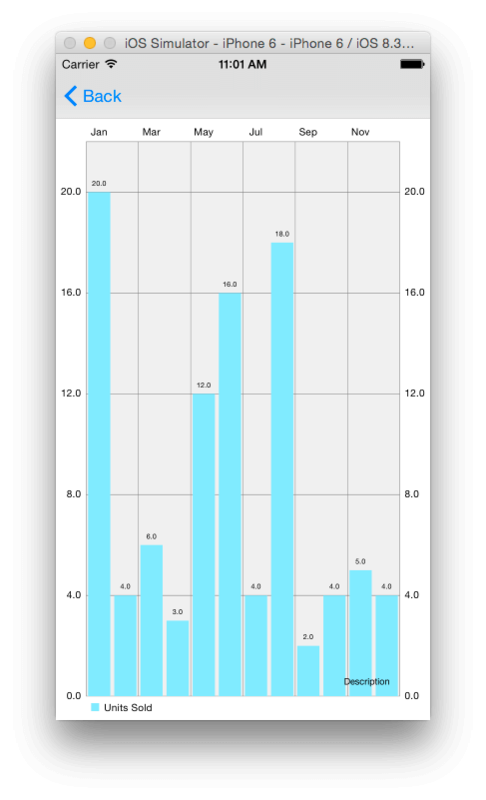 In this article, we’ll look at how to add charts to your application using the ios-charts library by Daniel Cohen Gindi. ios-charts is an iOS port of the fairly popular Android library MPAndroidChart created by Philipp Jahoda. 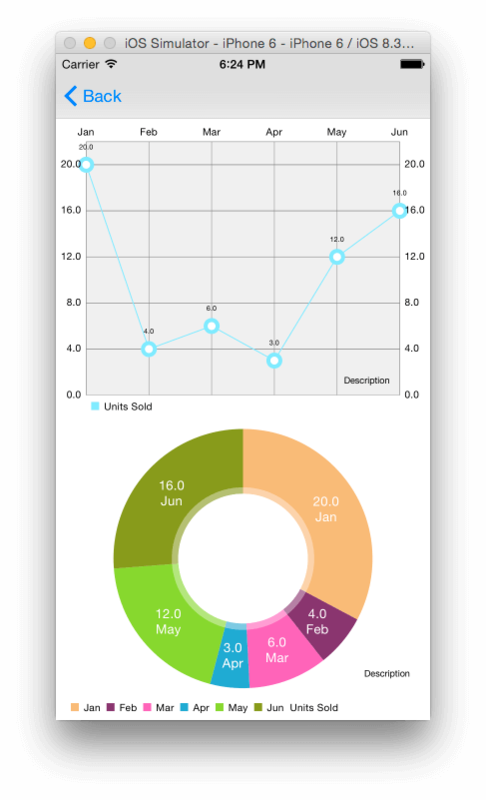 With this library, you can include various types of charts in your app fairly quickly and easily. With a few lines of code, you can have a fully working and interactive chart, that is highly customizable. To get started, first download the starter project we’ll be using in the tutorial. It’s of a simple application called iOSChartsDemo. When you run the app, you’ll get a table with two items: Bar Charts and Other Charts. On tapping on these list items, you’ll get empty views. In the project, I have created two view controllers which we’ll use: BarChartViewController and ChartsViewController. Next we’ll include the library in our project. You can use CocoaPods to install the library, but here, we’ll do the manual installation. 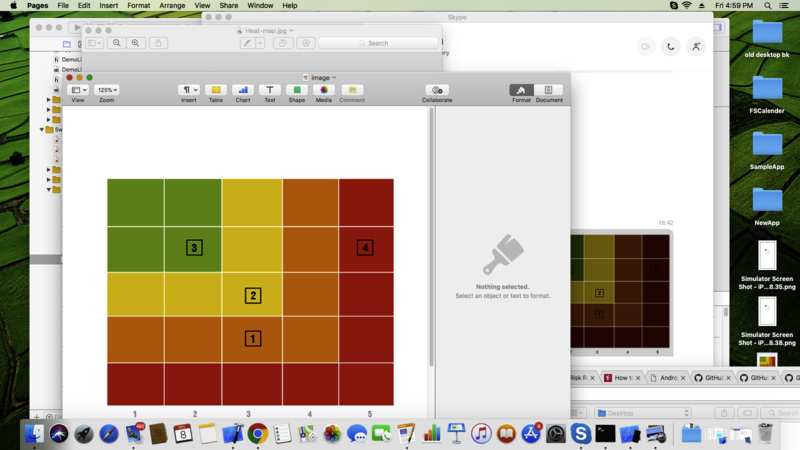 Download the ios-charts project. The zip file contains the library (in a folder named Charts) and a demo project (named ChartsDemo). The demo project is a great resource to use if you want to learn more about the library. Unzip the downloaded file and copy the Charts folder and paste it into your project’s (iOSChartsDemo) root directory. 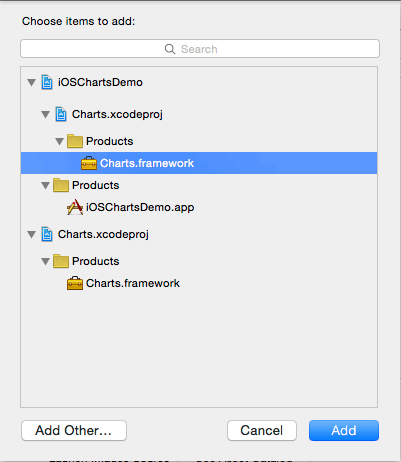 Open this Charts folder in Finder and drag Charts.xcodeproj to your project in Xcode. You should have something similar to what’s shown below. Next select your project from the Project Navigator and make sure that the iOSChartsDemo target is selected. In the General tab on the right, locate the Embedded Binaries section and hit the + in this section to add the charts framework. Select Charts.framework from the list and click Add. If you want to use the library in an Objective-C project you can read how to do this from the Usage instructions. 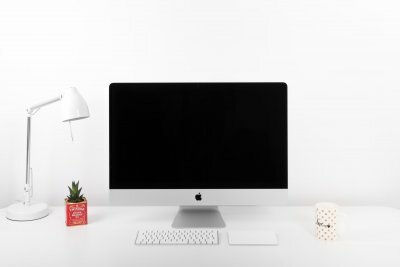 Build the project with Command-B or by going to Product > Build. If you don’t build the project first, Xcode will give the error “Cannot load underlying module for ‘Charts'” when you import the Charts framework into your files. Now we are ready to create our first chart. Open BarChartViewController.swift file and add the following import statement. Open the storyboard file. We need to add the view that will show the chart. Select Bar Chart View Controller from the Documents Outline and in the Attributes Inspector, uncheck the Under Top Bars in Extend Edges. We don’t want the chart to extend itself underneath the navigation bar. Next drag a View onto the Bar Chart View Controller and pin its edges as shown. This View is a child of the main View in the controller. With this View still selected, go to the Identity Inspector and set its Class to BarChartView. Then use the Assistant Editor to add an outlet of the view to the BarChartViewController class. Name the outlet barChartView. You should have the following in the BarChartViewController class. @IBOutlet weak var barChartView: BarChartView! Run the project and select Bar Chart from the table, you should get a view with the message “No chart data available”. You can customize this message if you want to display something different for your Blank Slates when no data is available for a chart to be generated. In viewDidLoad() add the following to the bottom of the function. barChartView.noDataText = "You need to provide data for the chart." Run the project and you’ll be presented with the custom message. You can further add a description to this with the following. This can be used to explain to the user why the chart is empty and what they need to do in order to get data, for example a fitness app can let the user know that they need to record X number of runs before the data can be aggregated. Add the following attribute to the class. We’ll use it to store some mock data for the chart. Add the following function to the class. We’ll use it to set up the chart. Notice I have included the statement we had in viewDidLoad() here. Remove that statement from viewDidLoad(). We’ll use setChart() to customize the chart. In viewDidLoad(), add the following to the bottom of the function. We set some mock data that gives the number of units sold of some product for each month in a year. We then pass this data to setChart(). In the above code, we create an array of BarChartDataEntry objects. The BarChartDataEntry initializer takes the value of each data entry, the index of the entry the value corresponds to and an optional label. We then use this object to create a BarChartDataSet which is created by passing in the array of BarChartDataEntry objects and a label to describe the data. Finally we use this to create a BarChartData object which we set as our chart view’s data. Run the app and you should have a bar chart of the data. You can set a description of the chart that will appear on the bottom right of the view. By default, the text is set to “Description” as you can see in the image above. A look through the documentation of MPAndroidChart, shows that you should be able to change the location of the description, but looking through the iOS API, this wasn’t included. The library is still being maintained, so this might be added at a later date. If you want to change the location of the description, you can change this in the drawDescription(context) function of the ChartViewBase class which is a superclass of the BarChartView class. For our app, we’ll remove the description text. Add the following to the bottom of setChart() to set the description text to an empty string. You can customize the look of the chart view by changing some of its attributes. We’ll look at some of these; you can have a look at the documentation to find out what else can be customized. The above sets the colors that will be associated to our data set. We set this to an array of UIColor objects. Since we only have one color in our array, this will be used for all the entries. Using the ChartColorTemplates.colorful() template gives the following. To change the position of the x-axis labels use the following. Now the labels are at the bottom of the chart. You can also change the chart’s background color with the following. You can add some animation to the chart to make it more interesting. There are 3 main types of animation methods you can use to animate either both axes or the x and y axis seperately. 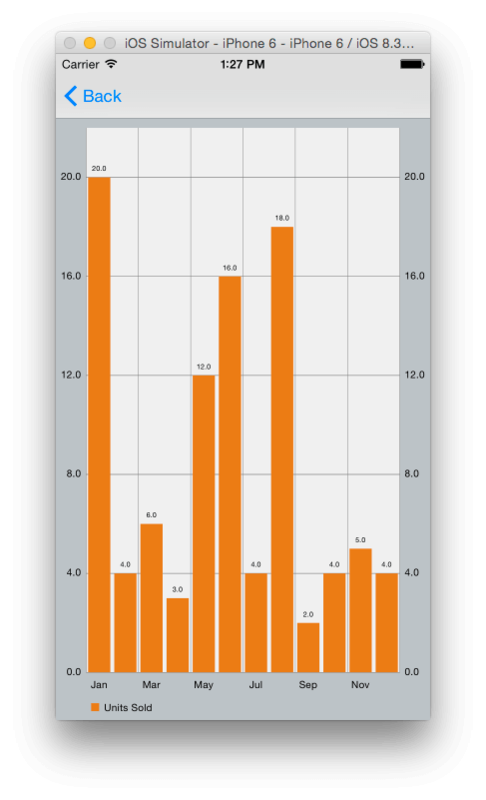 Run the app and the bar chart will animate into view. We animate both axes in 2 seconds. And you’ll see the effect of the above. The limit line is an additional feature for all Line, Bar and ScatterCharts. It allows the displaying of an additional line in the chart that marks a certain limit on the specified axis (x- or y-axis). Such a line can be used to set a target/goal value for the data and helps the user easily see where they didn’t meet the target. On running the app, you should see a red line marking the 10 units limit. In the above code we added a label to the limit line, but ChartLimitLine has another initializer that doesn’t take the label, so you can omit it if you prefer. If you run the app, you’ll notice that zooming by pinching and double tapping work by default. Also, a tap on a bar highlights the tapped bar. It’s great that we get this functionality for free without writing any code for it, but you might want to add more functionality, for example take some action when the user taps on a bar. To detect selections made inside the chart, we’ll use the ChartViewDelegate protocal. Modify the class’ declaration as shown. Then add the following function to the class. The above is called when a value has been selected inside the chart view. Here we print out the value and month selected. You can save the current state of a chart as an image. You can choose to save it to the camera roll or you can set a path for it to be saved to. First we’ll add a Save button to the chart view. Open the storyboard file and locate the Bar Chart View Controller. Drag a Navigation Item to the view controller’s navigation bar, then drag a Bar Button Item and place it to the right corner of the Navigation Item. Remove the “Title” text of the Navigation Item’s Title attribute in the Attributes Inspector. Select the Bar Button Item and set its identifier to Save in the Attributes Inspector. You should have the following. Next create an action for the button. Name it saveChart. 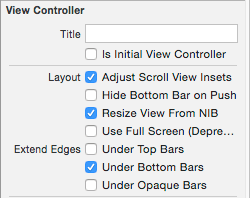 You should have the following in the BarChartViewController class. Modify the above method as shown. Run the app and when you tap the Save button, an image of the chart will be saved to the camera roll. You can view it using the Photos app. You can instead set a path to save to with the following method. The format can be either .JPEG or .PNG and the compressionQuality is the compression quality for lossless formats (JPEG). Here we’ll look at a couple of other chart examples we can create. I won’t give detailed instructions since we’ve looked at most of what we’ll do. First locate the Charts View Controller in the storyboard file and set the Class of the view labelled Pie Chart View to PieChartView in the Identity Inspector. Do the same for the Line Chart View, setting its class to LineChartView. Then create outlets for these two views named pieChartView and lineChartView respectively. Then modify the ChartsViewController class as ahown. 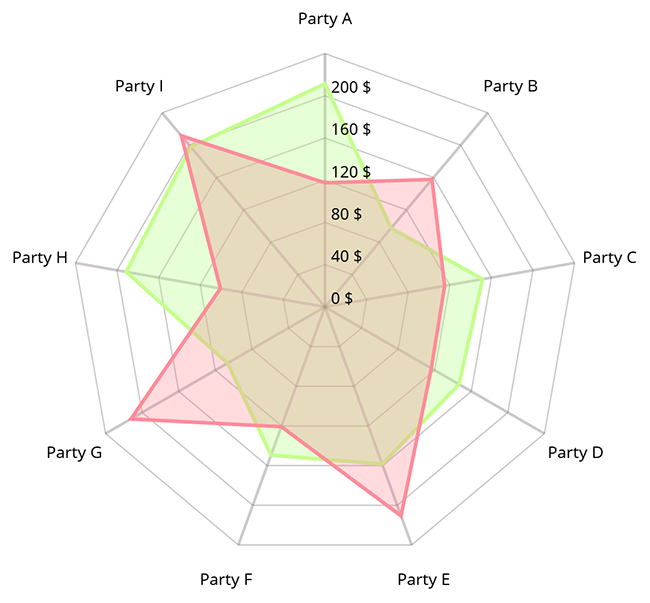 @IBOutlet weak var lineChartView: LineChartView! @IBOutlet weak var pieChartView: PieChartView! In the above, we import the Charts framework into the class and create a pie chart and a line chart in the same way as we created a bar chart. Note however, we use the superclass ChartDataEntry to create data entry objects when in the bar chart example we used BarChartDataEntry. Not all charts have subclasses for ChartDataEntry and so here, we use the superclass. For the chart data set and chart data objects, we use the specific subclass for the particular chart. 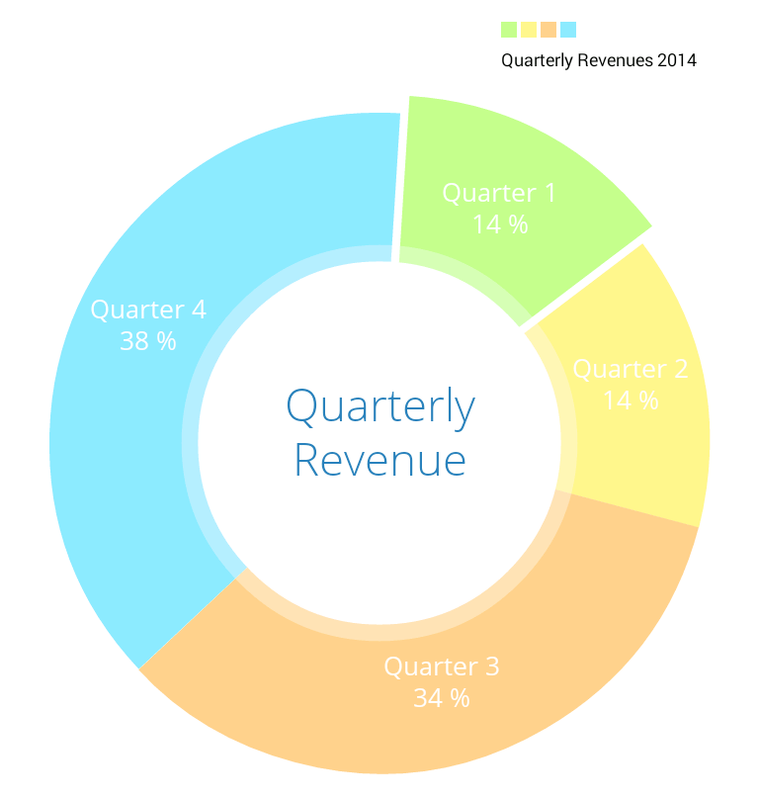 If you run the app and select Other Charts from the table view, you should see a line chart and a colored pie chart. Your app will look different from the one shown, since we use random numbers for the pie chart’s colors. 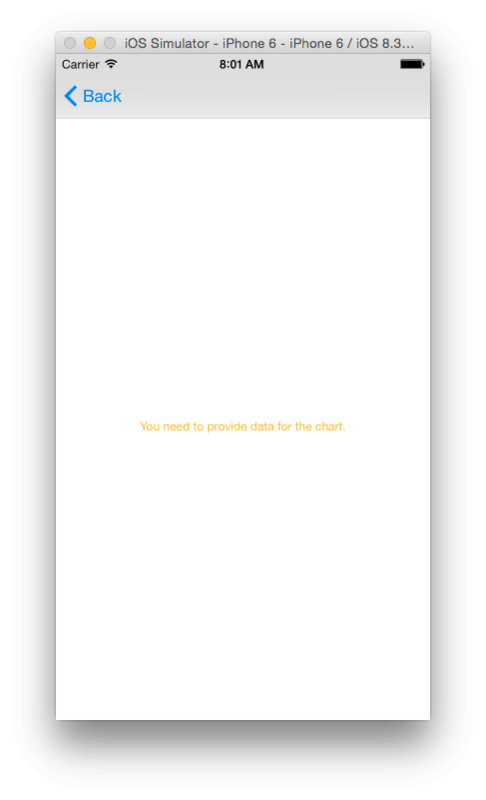 We’ve only looked at a few chart types that can be created using the ios-charts library. We’ve also only touched the surface of the customization you can perform on a chart. If you want to know what else the library is capable of, you can look through the code of the ChartsDemo project that comes with the library download and also have a look at the project’s Wiki. The link to the Wiki page leads to the MPAndroidChart project documentation. At the time of writing, there is no documentation for the iOS version of the library, but since the API is about 95% the same as on Android, the Android documentation can still come in handy when searching for help. Note: This tutorial is also available in Chinese. We’re going to support other languages soon. If you want to join our translation team, please contact us. While I agree that ios-charts is very well made library, documentation is rather poor (maybe because everything is well documented in android lib? :)). Basically if you do anything complex like custom colors based on data value, multiple y values for each x axis point, you are going to have a pretty hard time figuring out, how to do it. Admittedly there’s also little documentation, but on the other side a bunch of self explanatory examples which can be customized quickly. SOMEONE PLEASE document this lib…………….. I had no trouble with Android Studio, but I can’t make this do anything in IOS Swift 3. HELP! Hey Joyce, I was wondering how can I create beatiful presentation of screenshots like the first picture of this tutorial? Hi Ben, Simon actually does that with the screenshots I take of the tutorial app. But if you want such an image, you can find free and for-sale iphone mockup PSDs online. You just open the mockup in Photoshop and drop in your image. The PSDs come with actions that will size and transform the image, so it will look right in whatever position the device is in. Look at this as an example. Every time I think of something I’d like to accomplish, AppCoda has a tutorial on it. Thanks! Thanks for your words! So glad to hear that. Same for me, couple of times I thought “I wonder how you do….” And within a few days it appears on here! iOSChartsDemo[57733:10990604] Unknown class LineChartView in Interface Builder file. 2015-06-24 12:36:32.422 iOSChartsDemo[57733:10990604] Unknown class PieChartView in Interface Builder file. 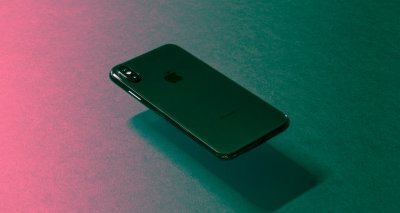 This is really an informative blog for all the beginners as well as app developers. I like Objective C more than Swift. I am a newbie developer. If anyone want to chat about IOS Development kindly Google Chat/Hangouts with me. My email address is [email protected]. Hi, this looks like a well made library. I’m working on a charting app and I’m curious how this compares to coreplot 2.0? Hi Stan, I have no experience with CorePlot, so I can’t make any comparisons between the two. Thank you Joyce, I’ll try it out and see how they compare with each other. Hi Mohammed, it seems that you are going for a slightly different bar chart than the one in the tutorial. You said you wanted to show results for different companies, so are you looking to create a chart as shown in the image under BarChart (grouped DataSets) above? If so, then you’ll need to create data sets for each company. In the tutorial example we, only had one dataset. If that’s not what you want, then run the demo app and look through the different chart examples and if you find one that fits your needs, then check its corresponding code. Why if if start from scratch, I mean, I project from zero, It sends an error, but If I use you starter project It function perfectly? Hi Joyce, thanks for the tutorial. I am looking for a charting option. At the moment I need to be able to do a stacked bar chart. Can this software do that and if so would you have an example? @joyceechessa:disqus thanks for creating this great tutorial! 1. Documentation is not a top priority as it already exists (as @yanchi88:disqus mentioned) in the android repo. We are however improving the documentation in the code, which pops up while coding or shows in the right pane in Xcode when pointing at a function or a variable. 2. If you’re using CocoaPods, not that you might be struggling with a bug that is fixed in the GitHub repository, so if something behaves really weird you might want to check there. Thanks for using and supporting Charts! There are some great people helping out with this project, with idea, bug reports, and pull requests and implementation of new features. Thanks! 1.The heighest data points on every y axis should be indicated with a Circle dot..
3. minimize the width of each bar.. It would be a super great help for me if you can help with this.. Thanks in advance. I am looking for the same solution. Please help me in this!!!!!!!! thanks in adv.. Try out this library: https://github.com/i-schuetz/SwiftCharts it’s quite easy to customize and the features you request are not a problem there. thanks for the feedback, the issue is fixed now (in master). Next time please report issues directly in Github, it’s better to keep things organized and Disqus is easy to miss. Ivan, that worked like a magic. Appreciate your quick response. Try out this library: https://github.com/i-schuetz/SwiftCharts/ it’s quite easy to customize and the features you request are not a problem there. Why is it trying to get ios9 SDK? I am not able to proceed beyong this point. any help is appreciated. Hi, I’m trying to use the library to create quite simple Bar+Line chart, but I can’t figure out how to achieve what I need although I’ve read project’s wiki and checked demo sources carefully, but maybe I missed something important, so I’d like to ask you for help. Can I contact you on email to not bother the others here? Thank you. One question: What if I wanted to set up multiple years, in other words, using the 12 columns you provided, but to do it for 3 years (36 entries?) I am trying to do this, but cannot get more than 12 columns to show. Hi Joyce, how can i place a background image below a chart ? hi i want to show a title on y axis just to show the units of the data point like . kg e.tc. i don’t want to show it with every other data point rather want to show on whole y axis as a label. is there any option in these graphs that i can do it with line graphs. How can I show multiline detail information in stack bar ? Right now it’s showing only single line so my most of the chart detail information are wrap up. I would like to make an x_axis similar to yours. Would you possibly share the formatting of the x-axis with me? The rest of it is going well. How did you get the names in the colors at the bottom (stack bar?) Thanks. Yesterday apple released a new version of xcode, i’ve dowloaded and installed the new xcode then when i open my code, xcode asked me to migrate my app, after i click on accept (big mistake) the aplicacion and the libraries shows like 50 errors that i tried to solve it but xcode show more errors, pls could you tell what to? how it can be solve ? 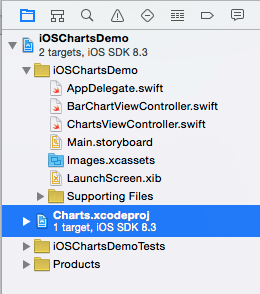 iOS charts project can’t support xCode 7.0 for iOS9. have anyone can help? I need to not display a grid … Please! I tried to follow your instruction to implement your library in the demo project. As I tried to build the project after adding the Charts.framework I got 22 errors. 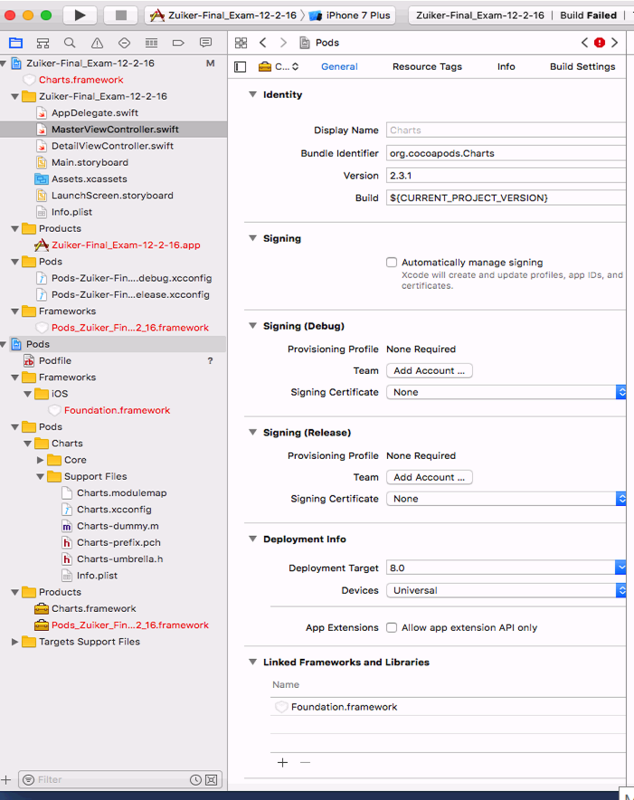 (El Capitan, latest Xcode update: 03.10.15) – Am I doing something wrong? It is because you need to use the latest syntax method, where the parameters are changed. Hi Joyce! I want to create an array of charts, but when I implemented it, the type of the array is ChartViewBase, and I can´t assign any kind of data to the chart. Do you know how can I make it? I am trying to implement the pie chart, but not able to see the legends in pie chart using the same code above just the data set and data entries are changed .. Can you help what might be an issue here .. Here is the link to question in stack overflow. This is really very easy, but hard to find!!! f anyone knows how to show x-axis labels as strings (0,15s,30s,45s) please let me know. I can’t show any labels on the x-axis right now!! Is it compatible to iOS 7? I tried you tutorial and the bar chart worked fine but the pie chart crashed with an error of: fatal error: unexpectedly found nil while unwrapping an Optional value. Any Idea why?? 2 reasons for this to happen. 1.In the Identify Inspector, the custom class is not set to barchartview or linechartview, and the module should be charts. 2. In the Connection Inspector, the connections to your views are not connected. When I was going to add the outlets for pie and line charts, it wouldn’t let me add them.. so i tried to run the completed program and it has so many errors and that saved over my work, and I am new to this. Please help. Download the full source code from Appcoda,…..
then popUp a window for confirmation” Would You like to configure in Objective-c bridging Header” . 5) Find a search bar and Search “Defines module”. 6) Please tick out “Yes”. 8) Please write Your Project name. I wonder if there is an example how to programatically start/view a LineChart for example from an Objective-C ViewController class? Did you ever learn how to programmatically create a LineChart? I’m trying to perform the same operation you’re discussing except with Swift and was hoping that if you had a solution, it might help me with my problem. First excuse me by the English . I am new to ios development. its work! you are my hero! For me, still doesn’t work. Says: “EXEC_BAD_INSTRUCTION”. @arjunmayilvaganan:disqus please try connect your view to the code via Assistance Editor. I will give you reward if you provide solution. The library is awesome. I’m using the pie chart in my ios app and it works excellent. I just want to move the labels in slices a bit outside of the pie. Is it possible? Just illustrated below. Hello, sir can i get full source code in swift if it is available in anywhere plz give me link.. I can’t seem to figure out how to do Group Bar Chart. did anyone do it? if so, do you mind sharing it? if i use the first chart (that you show in the tutorial) , when i get to insert my data, the charts will get to resize by my data, is possible fix a point ( for example 10) as the maximum value and show the chart ? i would like to fix a maximum value in the charts. Is it possible? How to create stacked bar chart? Can I use this code in my app? Great tutorial! I’m trying to implement a combined bar- and line chart but can’t figure out how to do this. How could I put together the different data sets? How can i change the colour of the legend. or to remove the legend? Have loads of problems getting this example off the ground. I have only been able to add iOS-charts to a project and build once. But then when I try and import Charts to a file, it cannot find it? Tried everything, been looking at know issues on iOS-charts GitHub page and Stack Overflow. Nothing is helping. I have updated Xcode to 7.3 and that sort of help. But still not working. Can someone explain how I should embed the iOS-charts framework into a project. thanks for the nice tutorial. I have a question about the Piechart. Is is possible to change the size of the text when you click on the slice? Thank You soo mch for this lovely tutorial can you please guide me how can i get these behaviours for Bar and Line ? Thanks for the great tutorial. Very informative and great starting point for using the Charts library. HI! did you find the solution? can you share with me? hello, this properties not are of lineChartView? how i can customize it ? When I add this code to viewDidLoad() i get the correct pie chart with its legend, But when i add the same code in viewDidAppear the legends(count) do not appear. Its shows incorrect count of legends. Any help would be appreciated. Thanks in advance. Hello! Awesome tutorial n working like a charm. I wanted to ask you, how do you make the lines of LineChartView curved? like in the examples. Thank you! Thx, it’s a great How to. I have met an issue, I would like to force all xAxis labels to show with Charts iOS but atm, xAxis labels have showed with an interval : 2. You can use mLineChartView.xAxis.setLabelsToSkip(0) This will force all of the labels to be displayed. Hi all, small question. If the results are all high numbers I don’t see the bottom part of chart. Example: I have two lines, results are 10,15, 22 and 9,22,17, I can’t see the chart from 8 to 0. Any idea why? Or should I make the view bigger? anyone knows how i can load the graph data from a core data table ? What if you want real values on the x axis? the ChartDataEntry constructor just accepts an integer index (ChartDataEntry::init:value:xIndex). Great tutorial! I’m having some difficulty getting horizontal bar graphs to work though. is there something I’m missing with it’s implementation? In Pie chart I want to perform a segue when i click on a particular slice. They have provided a callback for the click event. How to show legends on click bar same like popover?? Could we change X-axis data points, now X-axis data point are always same size? I tested with NSObject , Double array, but it also not working. How to set percent % in values? Me did not show. Is anyone also facing same problem?? I have 139 compilation errors. Not sure what the problem is, but I can’t even use it. Can I use this Charts API for demand graph. Means I have 100000 data point and I want to load those points as I scroll the graph. Charts 3.0 APIs now bit of change. Please refer original one from this same page and apply new API changes as given below. I have implemented line chart using charts 3.0, can you please tell me how do i set the Xaxis labels now? I have done: self.lineChartView.xAxis.enabled = false to disable the top line for xaxis but want to show text on bottom part of Xaxis. Any chance of a Swift 3 update to this very popular tutorial? For Swift 3, don’t use the pods. Copy the project file to your project. I don’t have an access to install cocoa pods in my university but i have to display data in graphs. Is this is possible, how? I wish I could use this, but I cannot get things to work with Swift 3. I am facing one issue with PieChart, I have added button below pie chart (not inside pie chart view) but only bottom half of button is clickable. I figured out, it is due to pan gesture of pie chart which is conflicting with button tap. Anyone faced similar issue. Any solution to this? /// Constructor for stacked bar entries. /// Constructor for normal bars (not stacked). For demo, replace the month array with [Double] numbers and make corresponding changes. Having done so, I am able to show the expected bar graph using iPhone. So what should it be for this example? I got a same problem. I use Chart 2.3. Even I am having the same issue. I keep getting a ‘No such module Charts’ when I use the Import Charts statement. When I try to compile, it says there are 138 errors in Charts. I loaded the workspace file. I added the framework in Embedded Binaries. Not sure what’s wrong..
Is the function .SaveToPath still available? I haven’t been able to find it. Can an update to this with the current release of the iOSChart using Swift 3 be posted for this? Hello @joyceechessa, please update this blog for Implementation of Charts i.e Bar Chart using Swift 3.0. Due to updation in @Daniel Chart Library, we are facing much more problems. One common problem is set xAxis Labels. Is this library support to drill down feature? I have implemented bar chart using Chart 3.0 library with Swift 3.0. The chart is working fine but I need to remove or hide the values from above the bars. also can I set image as a point on xAxis? Why can’t anyone make a You Tube step by step video to install and use this library. It works great in Androud Studio, but I can’t even install it in IOS ????? HELP. This is a great library, but I am having trouble getting the xAxis labels to show and I don’t want to use numbers for months. It should be pretty basic to have labels in a simple BarChart. I try initializing each datapoint with a x, a y and a data/lablel as AnyObject but it doesn’t appear. What am I doing wrong? having same problem. have you got the solution? I am trying to get the index number of a selected bar in the barChart. I cannot get it to work. I know it works because I was able to do it in Android MP Charts. Is there a bug in IOS Charts? or am I not understanding something? Anyone, Please? Hi. I am still new to IOS. I have updated the X-Code and now it does not compile. Error – Module compiled with Swift 4.0 cannot be imported in Swift 4.0.2. How can I use this library in current swift TVOS project ? 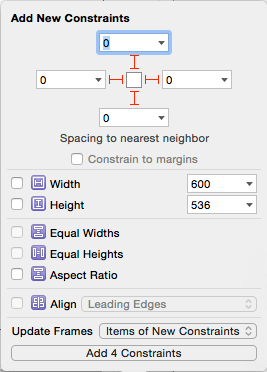 I really want to use this.I use Xcode 9.1.
how to design the chart like below? Thanks.. Can you update this tutorial to the lastest swift and Charts version? hi sir I am bibhishan, I have problem in chart, I want a example to fetch the data from json and add into line chart.